Hagiographies: Who are they trying to convince? Taliban released a new biography of Mullah Omar recently amid growing frustration among jihadi militants and the rise of Daesh in the region. The work has been described as a having tone of ‘hagiography’, the word used for writing about the life of a saint. This is widely seen as an attempt to rally support behind the missing Mullah who hasn’t been seen since many years yet still claims to be in command of Taliban forces. Mullah Omar isn’t the only subject of new ‘hagiography’. Increasingly, such works are appearing in Pakistan media detailing another subject: Chief of Army Staff Gen Raheel Sharif. According to Ansar Abbasi, Gen Sharif has strengthened democracy. Hanif Khalid tells us that he has been a man of principles even since he was a young boy. Mazhar Abbas writes that the current Army Chief is outshining his predecessors in brilliance. Each of these pieces appeared in recent days, but their message is nothing new. Last September, Ansar Abbasi had already taken to terming the Army Chief as ‘hero’ in his writing. There is nothing new about media publishing positive stories about Army. What is interesting is that these pieces are embarrassingly over-the-top in their adulation. It should be noted that each of these was published in Jang/The News, which might explain part of it if they are part of an attempt by Jang/Geo to get back in good graces after finding themselves in the cross hairs of last year’s #BanGeo campaign. However, there is also the question why someone believes such an obvious campaign to lift the Army Chief’s image is needed. Mullah Omar’s ‘hagiography’ is believed to be a response to Taliban losing faith in their leader. 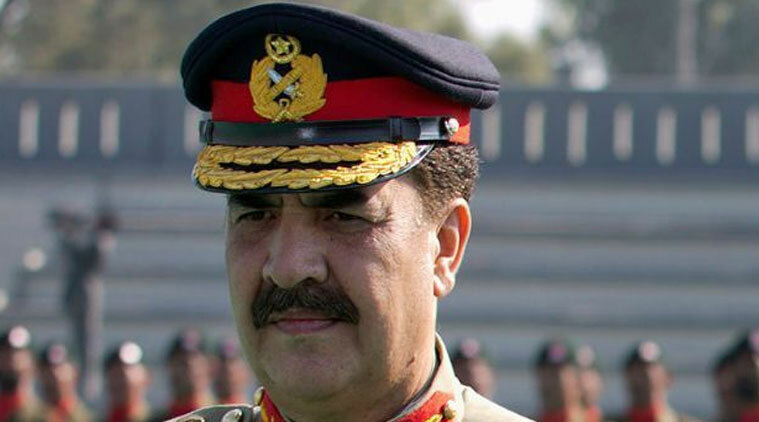 Are there concerns in certain quarters that people are losing faith in Gen Raheel, too? This entry was posted in Blogs and tagged #BanGeo, Ansar Abbasi, Gen Raheel, Hanif Khalid, Jang Group, Mazhar Abbas, Mullah Omar, the news by Omar Derawal. Bookmark the permalink.